As much as we love Madrid, the heat in the months of July and August were just too much to bear. We decided to escape the heat by spending 8 days in Lisbon, Portugal. While a week is more than enough time to see the main attractions and visit a couple of beaches, you may find yourself wanting to stay for much longer. The city has certainly cast its spell over me and I can’t wait to return for a much longer stay. Whether you are in Lisbon for a week or a weekend, there are several things you must do. If you have eaten canned sardines before, you know that you can usually eat the softened bones without any trouble but when eating the larger, grilled sardines, you will want to remove the bones. I usually gently scrape the skin off with my knife and push it to the side of the plate. If the skin does not separate easily, then the fish is probably not that fresh. Then I use the knife to remove a section from one side of the fish, revealing the spine. If you pull up from the tail, the entire spine and head should separate easily from the rest of the fish. Don’t be afraid to use your fingers to do this, it is not considered impolite. Sounds yucky but it only takes a second and the tiny bones can be very irritating if they get caught in your throat. 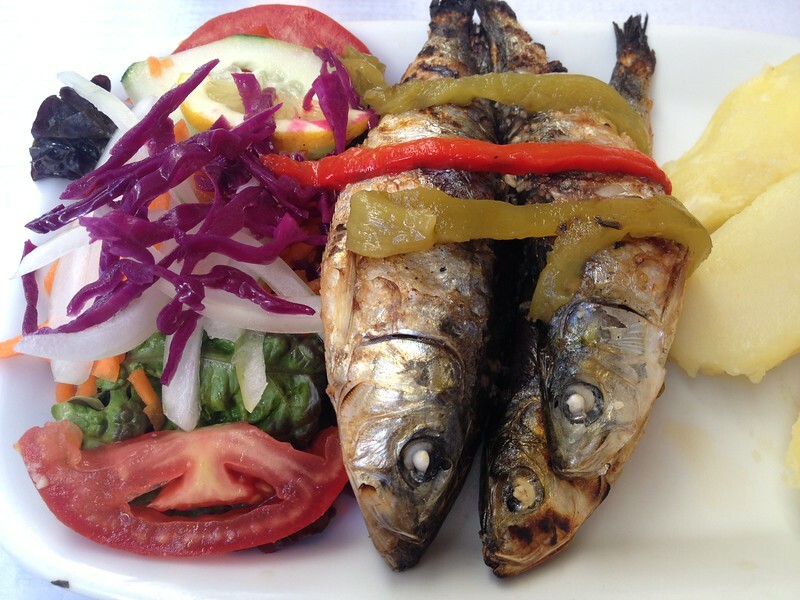 Grilled sardines are best eaten May through August. If you want to sample the canned variety of sardines or take some home with you, head over to Loja Das Conservas on Rua do Arsenal. You can choose from over 300 different types of canned fish here and there are always quite a few samples for you to try. A nice touch is the histories of the fisheries that are written above each brand display. 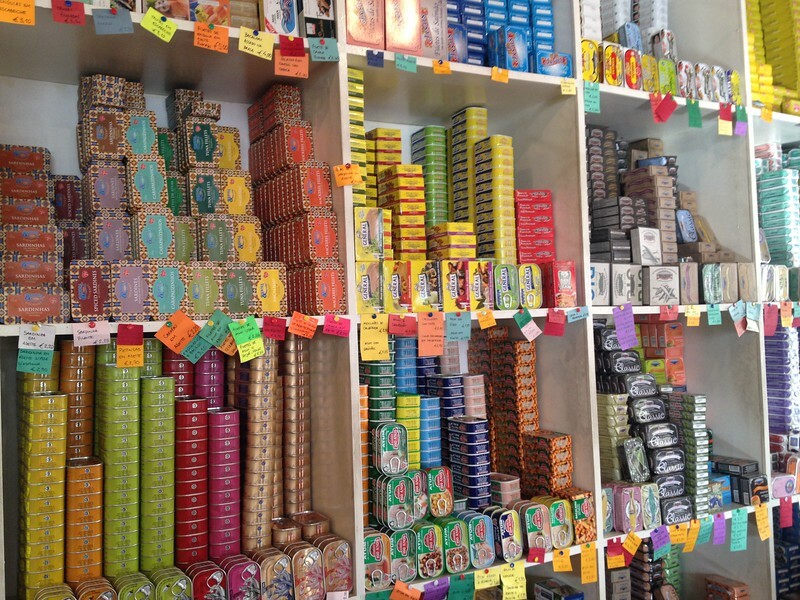 Some of the many varieties of canned fish available at Loja das Conservas. 2. 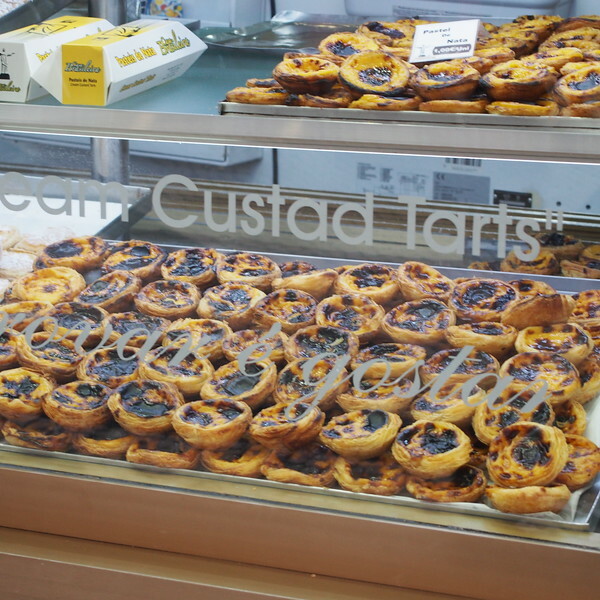 Eat some custard tarts. I’ve made many custard tarts in my lifetime but the ones in Lisbon put mine to shame. These sweet desserts are available all over the city but the most well known shop is Antiga Confeitaria de Belem, near the waterfront. (Rua de Belem 84-92). This cafe/pastelaria has been making the tarts since 1837 and still turns out over 10,000 tarts a day. A number of beaches are easily accessible from Lisbon. If you are planning multiple visits to any of the beaches accessible by train, it makes sense to purchase a “beach ticket” which will allow you unlimited travel on the Cascais line for 7 consecutive days. This ticket costs 12 euros. 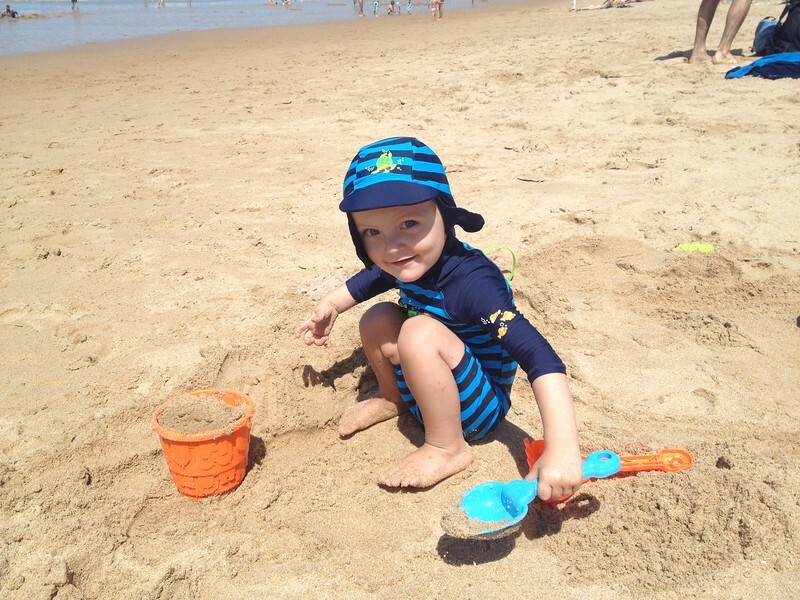 We went to Praia Carcavelos which is less than 25 minutes by train, making it perfect for a day trip. On weekends and holidays, this beach attracts more locals from Lisbon than tourists. The surf is too strong for very small children but they can at least enjoy the sand. There are quite a few beachfront restaurants and cafes and all of them were reasonably priced. We had a large goat cheese pizza for 9 euro and a large beer costs between 2.50 – 3.00 euro all along the beach. Many restaurants will bring a basket of bread along with some tuna pate and cheese after you place your order. These are not free and each item costs between 1.00 – 1.50 euros, even the small serving of butter. If you don’t want these, place them to the side of the table and the waiter will take them away. 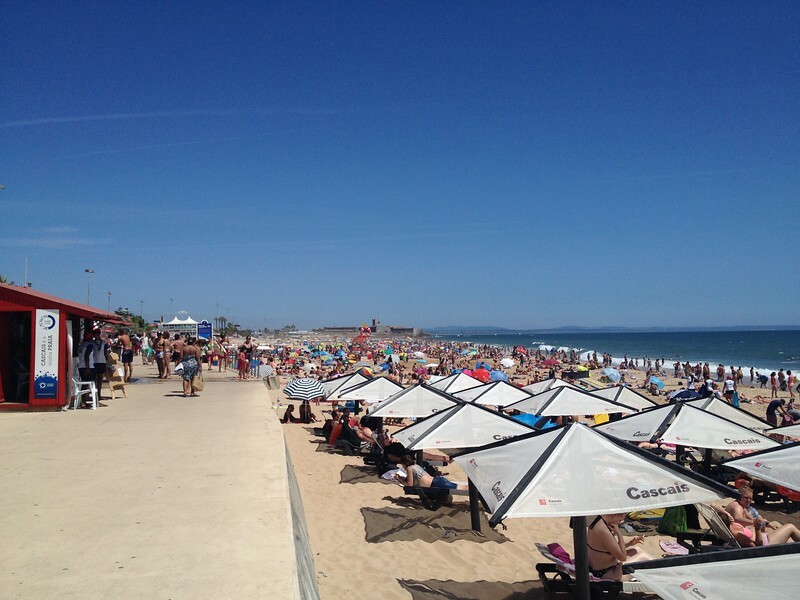 Praia De Carcavelos can get crowded on weekends. Little Nomad was more interested in the sand than the water.